Program is exciting, challenging, fun and friendly place to be. They are valued, respected and truly liked. In addition to learning excellent martial arts skills, teens are encouraged to participate in programs that develop their personal interests and talents. Whatever their talents and interests, Taekwondonomics Teens are supported to achieve well in school and other positive pursuits. 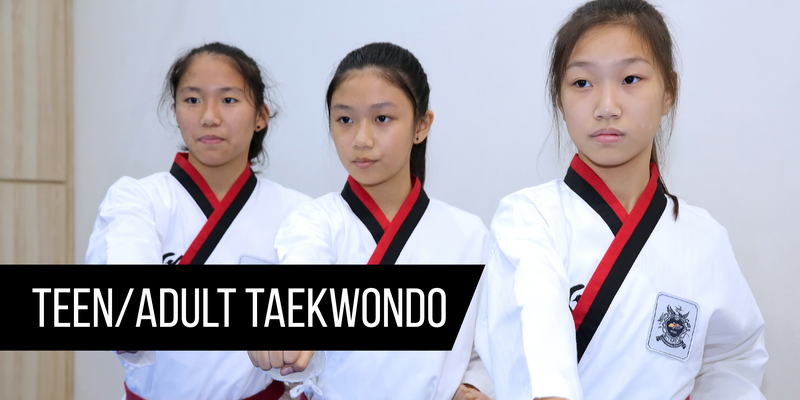 The life skills of cooperation, respect and self-discipline they learn at Taekwondonomics helps them meet the challenges that come with being a teenager. Taekwondonomics Teens are encouraged to make positive choices that will serve them for a lifetime. They certainly make great friends and have fun. First and foremost, martial arts offer exciting and dynamic training for the mind, body and spirit. Staying with a workout is what most everyone finds so tough. Taekwondonomics offers our adult students a dynamic step-by-step workout coached by our world class coaches. Taekwondo training can burn calories. In addition to this it will relieve tension and promote a sense of calm confidence and build energy. Adults often remark that the stress relief component of our training keeps them coming back for more. As adults, we need to reduce our stress factor daily. Our adult students look forward to “leaving their troubles at the door” and enjoying a high-energy, positively focused workout each day as well as essential self defence skills.